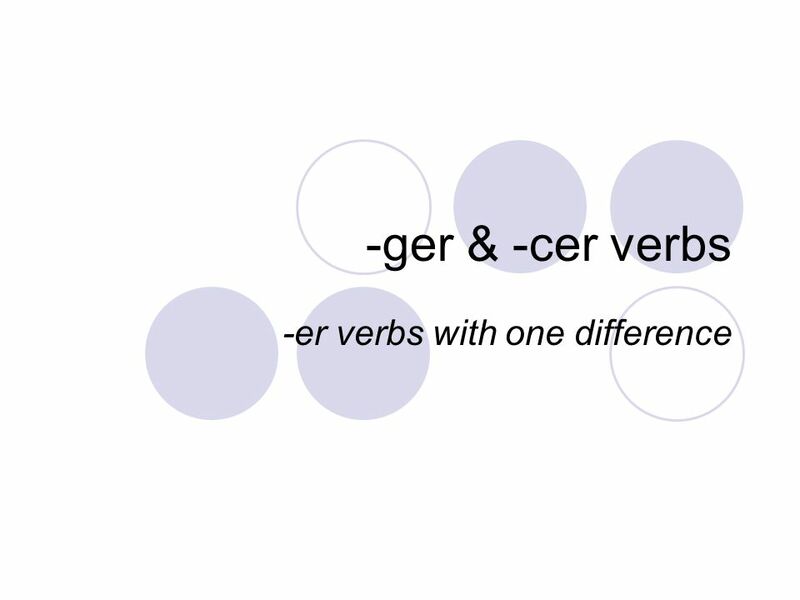 -ger & -cer verbs -er verbs with one difference. -ger verb endings are just like –er verbs, except the nous form keeps the e before adding on –ons: manger. 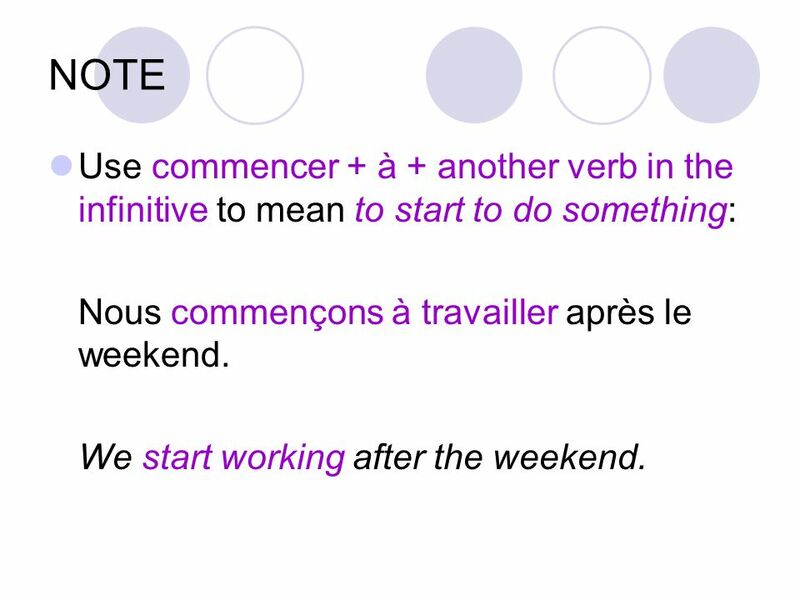 5 NOTE Use commencer + à + another verb in the infinitive to mean to start to do something: Nous commençons à travailler après le weekend. We start working after the weekend. 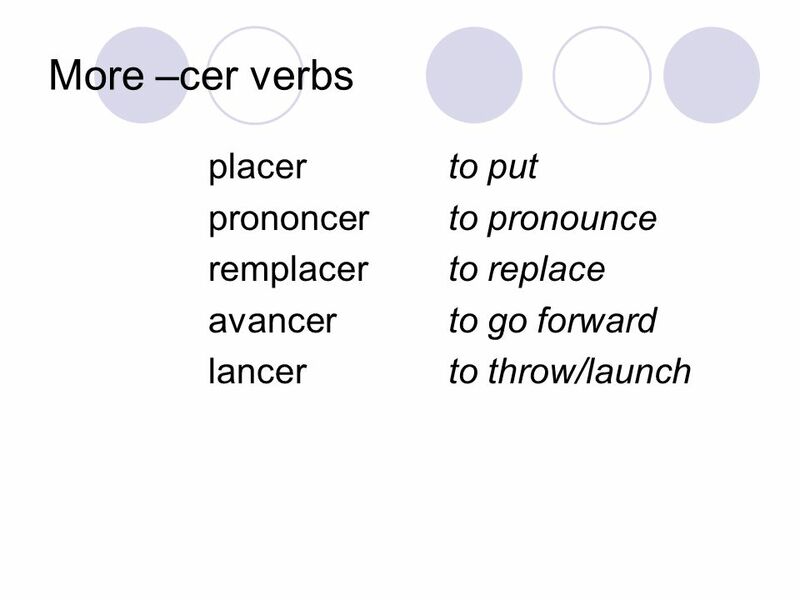 Download ppt "-ger & -cer verbs -er verbs with one difference. -ger verb endings are just like –er verbs, except the nous form keeps the e before adding on –ons: manger." 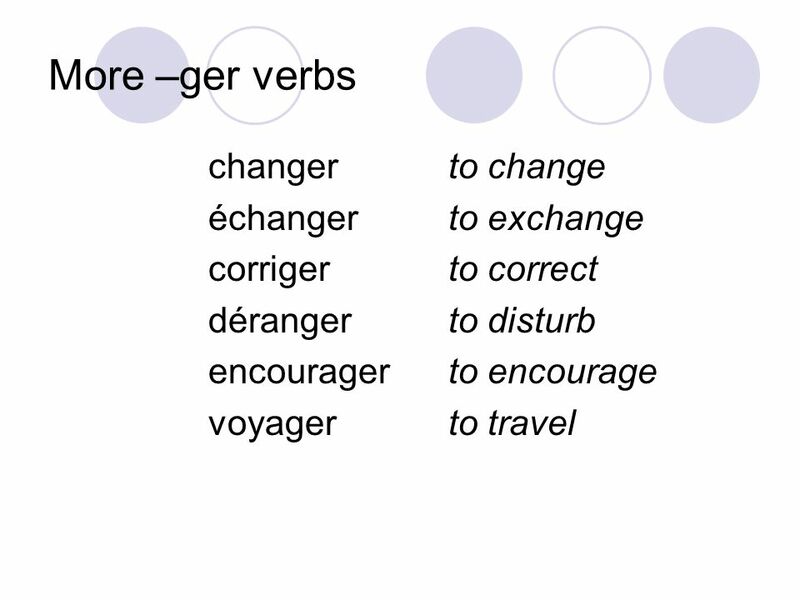 Regular –er verbs Français I. Le pronom en. 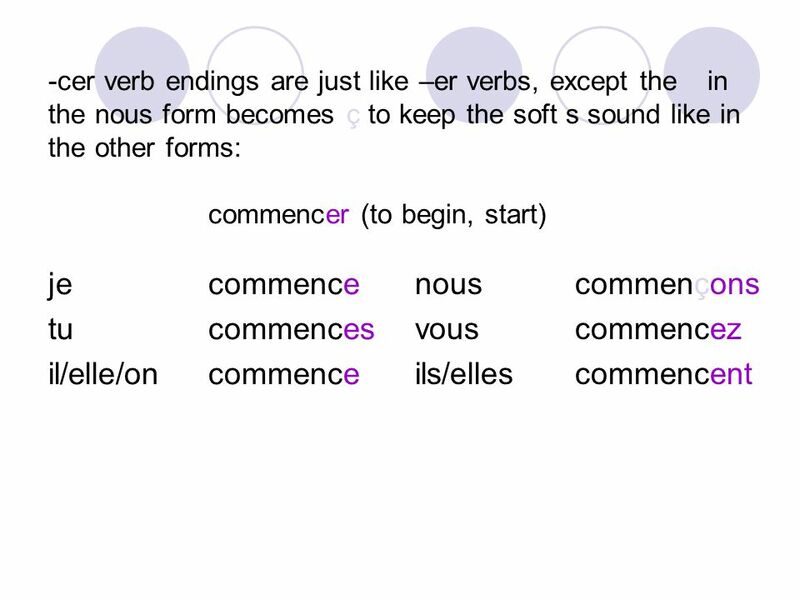 The pronoun en replaces de plus anything. It also replaces numbers and nouns. It will also replace a quantity. When it replaces a number. ER Verbs. 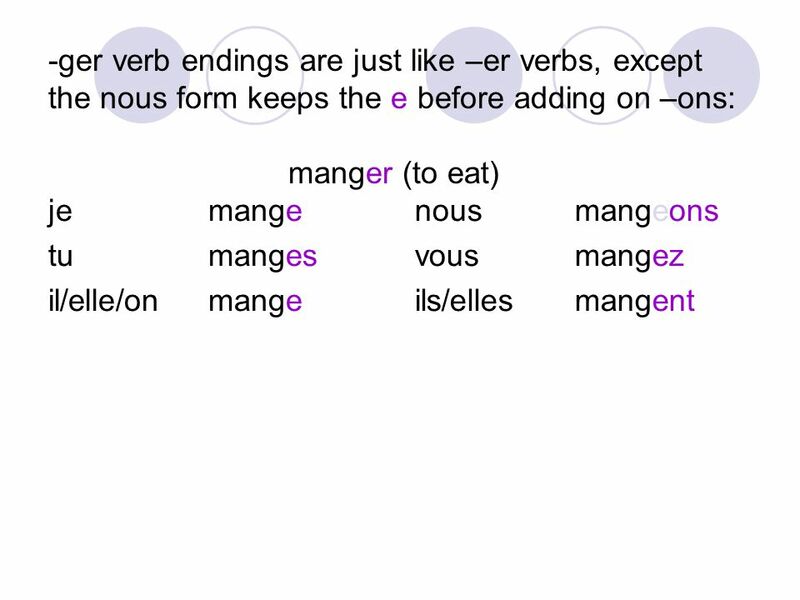 ER verbs have special rules for putting them in a sentence because you wouldnt just say She to eat. You would say she eats. Limparfait. There are two forms of the past in French. You have already learned the passé composé. The other form is limparfait.